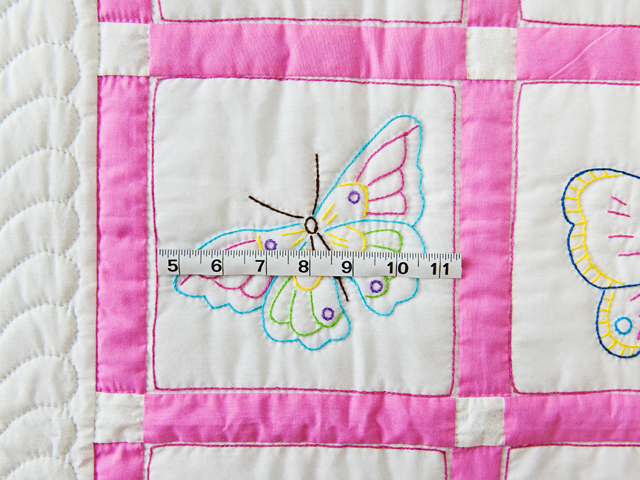 A wonderful gift for a sweet new baby! Everyone loves beautiful butterflies! 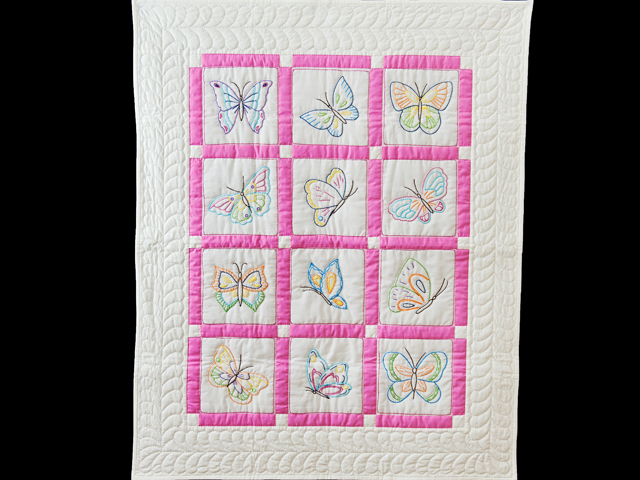 This quilt has 12 different blocks of delightful and beautiful butterflies, all hand embroidered. 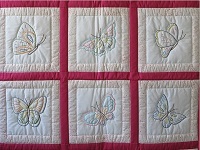 The embroidery and quilting was done entirely by hand by a Mennonite lady and is exceptionally neat. 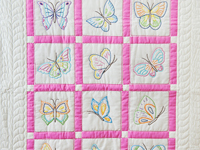 The patchwork was put together by Lancaster County, Pennsylvania Mennonite quilt designer Connie Lapp. Everyone loves beautiful butterflies! 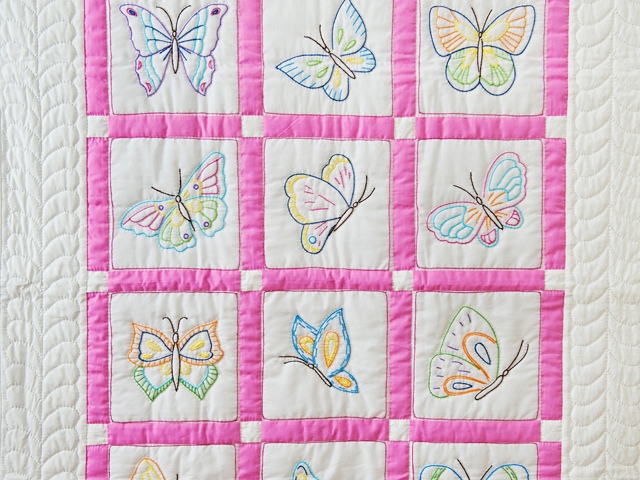 This quilt has 12 different blocks of delightful and beautiful butterflies, all hand embroidered. 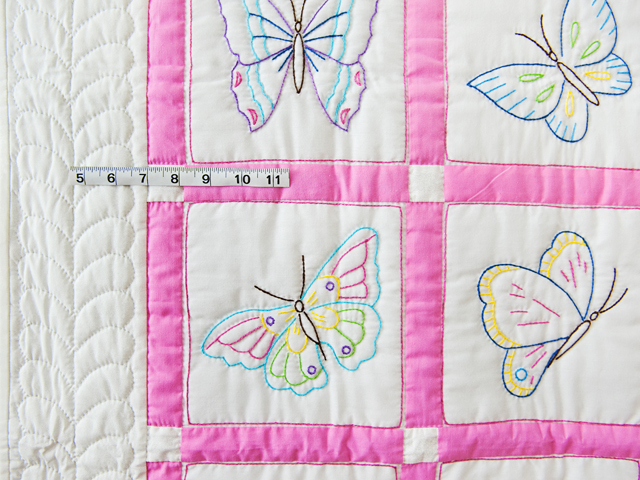 The embroidery and quilting was done entirely by hand by a Mennonite lady and is exceptionally neat. 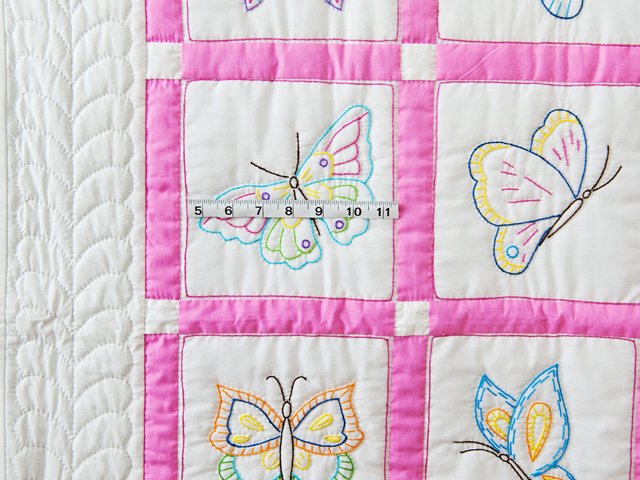 The patchwork was put together by Lancaster County, Pennsylvania Mennonite quilt designer Connie Lapp and hand quilted by her mother. 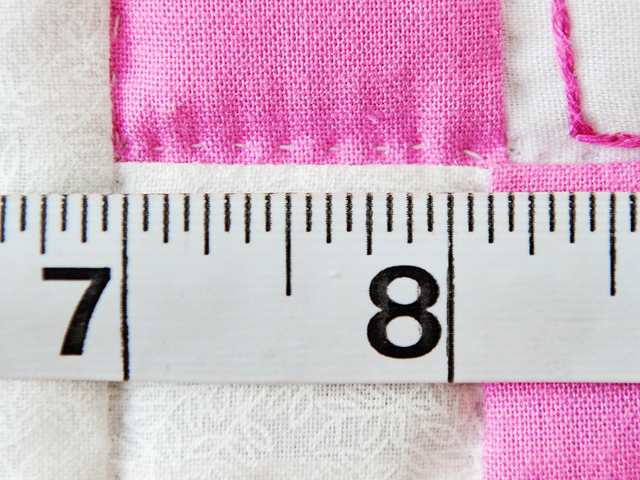 The back of the quilt is covered with a soft, solid white fabric.